“Deadpool” star Ryan Reynolds was eager to share his most recent passion at a private event in Preston Hollow on Monday, where he previewed Aviation Gin, the spirit company that he announced ownership of this past February. Some of Dallas’s hottest hospitality movers and shakers were present to mingle and experience first-hand some of the brand’s most tantalizing signature cocktails. Reynolds follows the footsteps of a long celebrity roster – such as Sean “Diddy” Combs and Justin Timberlake – who have expanded their branding through the acquisition of beverages. Reynolds has also become the latest celebrity guest of Chef Jeffrey Kollinger, founder of The Spice of Life Catering, who has become the preeminent chef for celebrities visiting Dallas. Prior guests of Kollinger’s include George Clooney, George W. Bush and Ryan Seacrest. 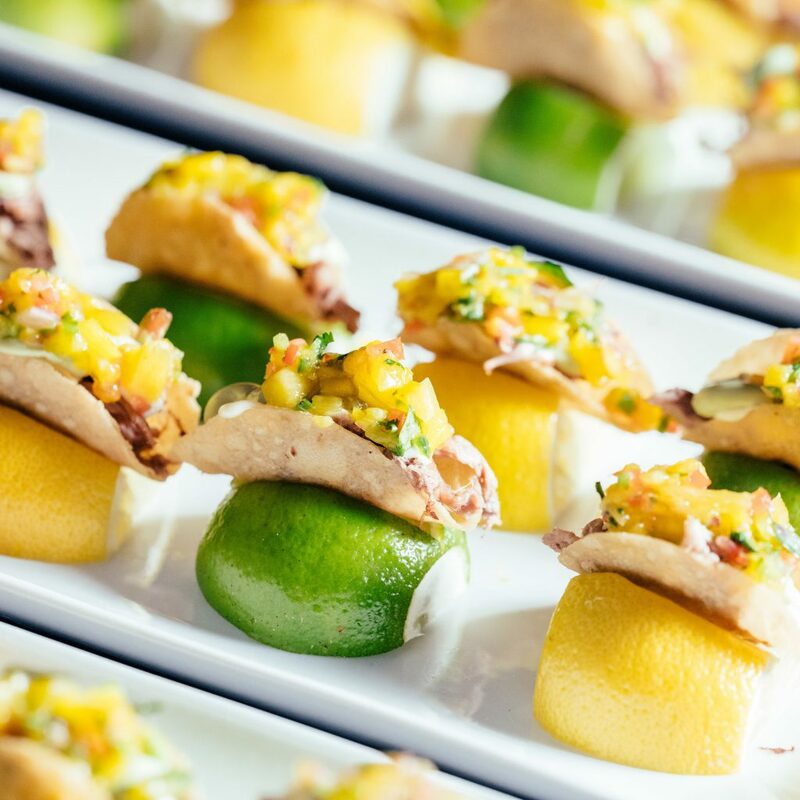 Among his oeuvre of entrées for the night, Chef Kollinger selected a slew of fan-favorites to dish out to the approximately 80 guests who attended the outing. The dishes included his Crispy Mini Tuna Tartar Tacos and Seared Sea Bass Cakes, both of which he unveiled for Mark Cuban’s birthday party earlier this year. Other entrées featured were a Slow Braised Short Rib and a Crispy Orange Duck Potsticker, which both make use of Kollinger’s influences from Texan and Asian cuisines. Learn more about The Spice of Life Catering by visiting their website, Facebook, Twitter or Instagram. To inquire about their catering services, contact them at (972)-417-1755 or email sales@thespiceoflifecatering.com. 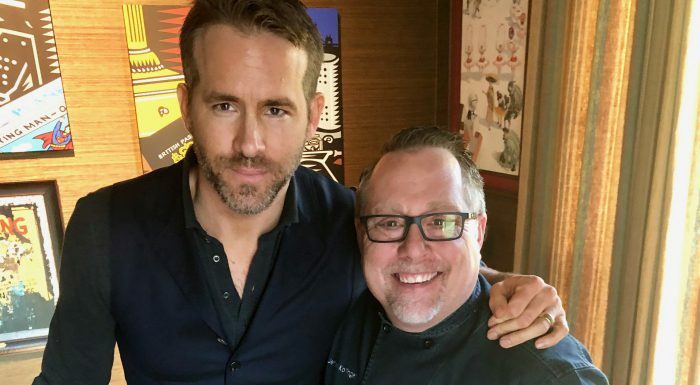 Featured Image: Ryan Reynolds and Jeffrey Kollinger smile at The Spice of Life Catering in Carrollton, Texas. Courtesy of J. Waylon & Associates.